The wipes made of cotton for the heavy industries for the cleaning of machines and products at a competitive costs. 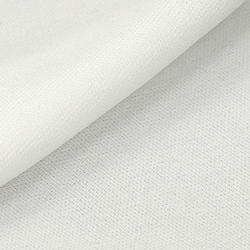 It's a strong structure and durable precutted roll, in viscose & polyester, designed for industrial cleaning. Easily removes oil, greasy dust, and any kind of fluid. Low linting and silicone free, it can be used in combination with solvent. Bemcot wipers can be used in various industries such as semiconductor, optical, medical, cosmetics, food & beverage, printed circuit boards etc. CRC WIPES Multipurpose industrial strength cleaning wipes. Removes oil, grease, paint, ink and adhesives of different surfaces. The textured side of the wipe will gently but efficiently remove all contamination. The smooth side of the wipe will effectively retain contamination. Airlaid is suitable for cleaning and wiping delicate surfaces. Its uses are growing fast in inflight, electronics and precision industries. It is available in both standard and solvent resistant grades. The products available in the market are made of paper and our wipes made of spunlace are far more superior to paper tissues. According to data available, the water absorption capacity of spunlace is almost double than a cloth, which makes them more useful especially for Indian climatic conditions. We offer premium quality Lint Free Industrial Absorbent Wipes (wiping cloth). These are manufactured from high quality raw material and used in different industries for cleaning purpose. Size - As per customer's requirement.